We made it. The Dallas Cowboys 2018 training camp is here, with the team arriving in Oxnard, California yesterday. 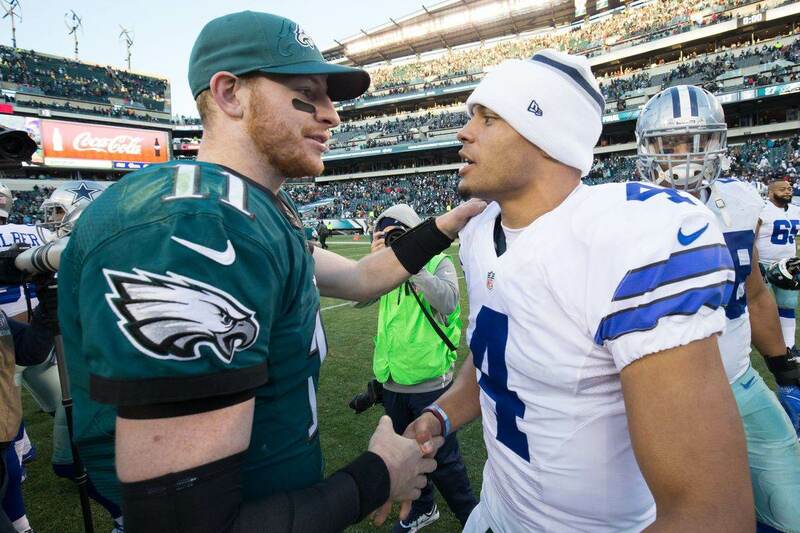 The Cowboys arrival is just part of a crescendo that culminates with a season set on redemption for Dallas. First, there will be a high-pressure roster cut from 90 hopeful members of America's Team to the 53 vying for wins come week one. Such competition throughout training camp has become commonplace for the Cowboys under Jason Garrett, although his squad looks drastically different both on the field and on his sideline. The coaching changes the Cowboys have made this offseason will surely play into their roster decisions, making every opportunity to practice together over these next weeks all the more important. Let's kick things off by taking a look at the players with the most to gain in this year's camp. Patience is going to be key in evaluating these unproven Cowboys receivers under first year WR Coach Sanjay Lal. 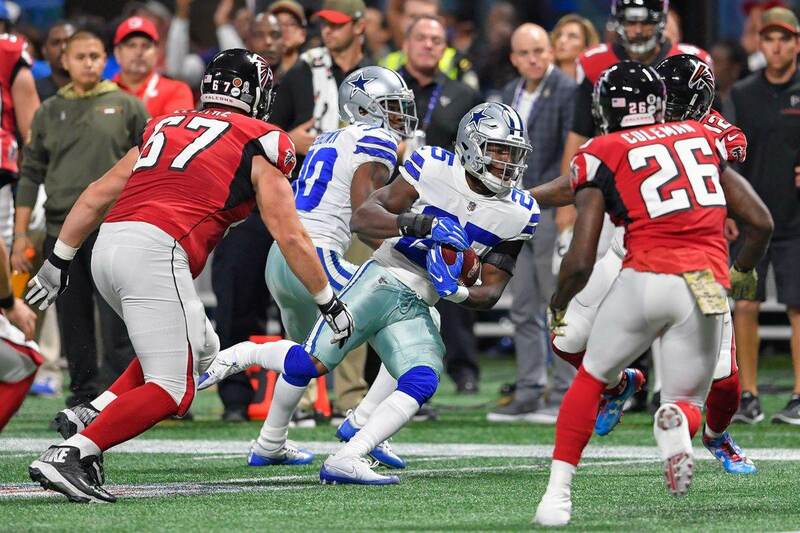 It will take consistent flashes from these young players to move them up a crowded depth chart, giving the likes of Allen Hurns, Terrance Williams, and Cole Beasley a slight advantage. Production from these three veterans is expected however, with Hurns being the Cowboys "big" free agent acquisition. Likewise, Michael Gallup was just one of their home run picks in this year's draft. Waiting until the third round to find a starting-caliber receiver out of Colorado State, the Cowboys will be asking a lot of Gallup right away. The rookie has much to gain in coming to work with Dak Prescott. Any football team is instantly better when a younger player can outperform a veteran, which feels achievable for Gallup. Assuming the Cowboys see things this way for their new "Dak-friendly" target, Gallup's stock should only rise with each practice under the California sun. Without any other conclusiveness at WR, the Cowboys almost have no choice but to throw Gallup into the fire -- where the intense competitor that never backed down from anyone in college can thrive. I believe this is Geoff Swaim's job to lose as the Cowboys are in Oxnard without Jason Witten for the first time since 2003. Swaim is currently the Cowboys longest tenured tight end, struggling to come into his own behind Witten as so many TEs have. Now in year four, Swaim will face competition from second-year Tight End Blake Jarwin, as well as Rico Gathers and rookie Dalton Schultz. While I do see Schultz contributing as a blocker to ease into his Cowboys career, someone at this position is going to need to catch passes for Dallas. This may be the one area where Jarwin can beat out the well-balanced Swaim, a crafty route runner with the physical tools to compete for a starting job. Perhaps Swaim and Jarwin can coexist better than any tight end pairing ever fared with Witten and his backup, but for now it's up to Jarwin to shake this backup status and prove he was worth the Cowboys protecting him on their active roster. The UDFA out of Oklahoma State is a player to keep a very close eye on in upcoming practices. Reality check: the Dallas Cowboys defensive line is going to look a bit lackluster at times in this training camp. Depleted at defensive tackle with Maliek Collins on the PUP list and David Irving MIA (as well as suspended for the team's first four games again), some players with no business running as starters may very well get the opportunity. From opportunity comes growth as a defensive lineman being coached by Rod Marinelli, putting Jihad Ward firmly on this list. A draft weekend trade piece the Cowboys pried from the Raiders, Ward is still looking to capitalize on the talent that made him the 44th overall pick in 2016. Misused as a defensive end with the Raiders, Ward is going to have to be a pretty solid option for the Cowboys at defensive tackle. Whether or not this means playing the 1T or 3T position, Ward is a player the Cowboys are high on and it's quickly time for him to prove why. The snaps will be there for Ward, who should shine over the likes of Richard Ash, Lewis Neal, and Daniel Ross. Should this continue once the Cowboys welcome back Collins and Irving, their DT depth will go from questionable to an overall strength of this entire defense. Keeping the focus on the Cowboys defensive interior, Brian Price is often forgotten about as an option at 1T. Playing this spot admirably well in eight games for the Cowboys prior to season ending injury last year, Price is back on a two-year deal that could prove essential to the makeup of this DL. Maliek Collins was forced to play the 1T position for much of last year. While he held his own as a space-eater on the inside, Collins' battle back from a second broken foot in three years should end with him returning to his natural position at 3T. The only way this happens is if the Cowboys find their rotation of 1T defensive tackles, in which Price can be just as effective as Collins if not better suited to hold up at this tough spot. Just like Ward, it won't be hard for Price to see the field and perform, although doing so noticeably is much harder from Price's position until the preseason begins. While uncertainty over a thin depth chart is the Cowboys story at defensive tackle right now, the opposite is true outside at defensive end. The team's final depth chart here will be decided by a heated competition featuring -- for the first time in a long while -- waves of capable pass rushers for Marinelli to deploy. Rejoining the ranks as a full go in time for training camp is Randy Gregory, perhaps the most naturally gifted defender on the entire team. When Gregory's been on the field, his impact has been felt as a pass rusher that makes even the best left tackles look silly. These players are so incredibly valuable, given Gregory's rare speed and dip off the edge. The Cowboys can't necessarily find these traits elsewhere, but they do feel there's capable right defensive ends in Tyrone Crawford, Taco Charlton, and rookie Dorance Armstrong on the roster. All three will be just as important to watch develop further in Oxnard, but its Gregory with the most to gain as he goes from career obscurity to league-wide feel good story on a team that is rarely in position to produce many of those. 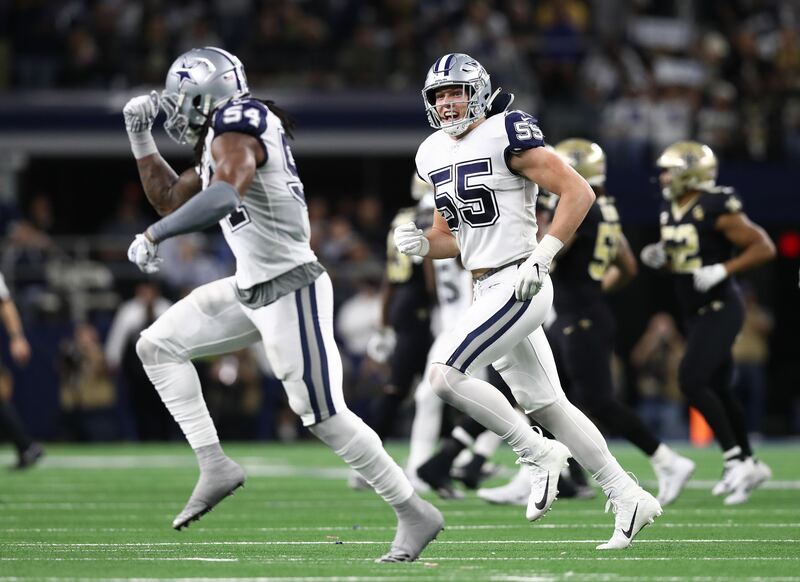 Say what you want about the additions the Cowboys have made at linebacker, but this is still a unit depending heavily on Sean Lee and Jaylon Smith. There's never any doubt that Lee is up to the challenge as a Cowboys captain, but Smith has not been far behind in his preparation for another year of growth in 2018. Practicing without a brace after coming on incredibly strong at the end of his 16 game season a year ago, Smith is in perfect position to have a season that would be hard to believe for anyone outside of Dallas. Already feeling rewarded for the risk they took on Smith, the Cowboys will run the Notre Dame product on the field as much as they possibly can starting with this week's practices. Smith's goal should be to grab hold of a starting spot alongside Lee, of which there may only be one with Passing Game Coordinator Kris Richard's tendency to play just two linebackers together. Earl Thomas who? This is the question that Cowboys safeties Jeff Heath, Kavon Frazier, and Xavier Woods can only hope to have Cowboys Nation asking in due time working with Richard. Of all of the talented defensive backs that should benefit from working with him, a versatile safety like Woods could see the most exponential results. For starters, this is a player forced to line up out of position for much of his first year. Focusing now on being the athletic, match up safety the Cowboys can play anywhere, Woods' role for this defense will fit with both Heath and Frazier. With Heath's starting spot not truly in jeopardy, and Frazier projecting best as a rotational player, its Woods that should be ready to take advantage of extended work all through the season. The best part about the Cowboys finally returning to daily activity is that more than seven players will put themselves on the team's radar as those deserving of consideration for starting jobs/final roster spots/practice squad positions. For a team looking to overcome so much turnover as quickly as the Cowboys are though, it's imperative to have an idea for where players can develop best through training camp and the preseason. 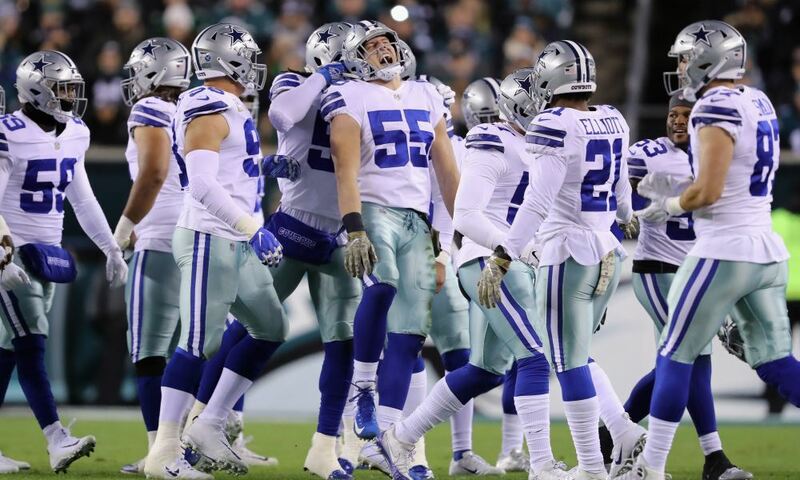 That is what the above list of seven achieves as we get back underway with the Cowboys construction of their 2018 team. Tell us what you think about "Cowboys Training Camp: 7 Players with the Most to Gain in Oxnard" in the comments below. You can also email me at Sean.Martin@InsideTheStar.com, or Tweet to me at @SeanMartinNFL! How Close Is The Cowboys Defense To Becoming Elite? Chaz Green Leaves Practice Again, Cowboys OL Depth Becoming a Concern? Is WR Tavon Austin’s Preseason Hype Legit?